Inside this months Vegan Box you’ll find yourself a packet of KOJA Protein Pancakes, and you’ll be wanting to whip these up right away! KOJA Health believes that eating good food is the most important aspect of your health and there’s no pill or magic powder to replace good food and natural nutrition. Their brand new range of Protein Pancakes are now available in Cacao, Coconut & Maca, and Cinnamon flavours and are as delicious as they are good for you! The mix is made up of almond meal, buckwheat flour, brown rice protein and black bean powder. 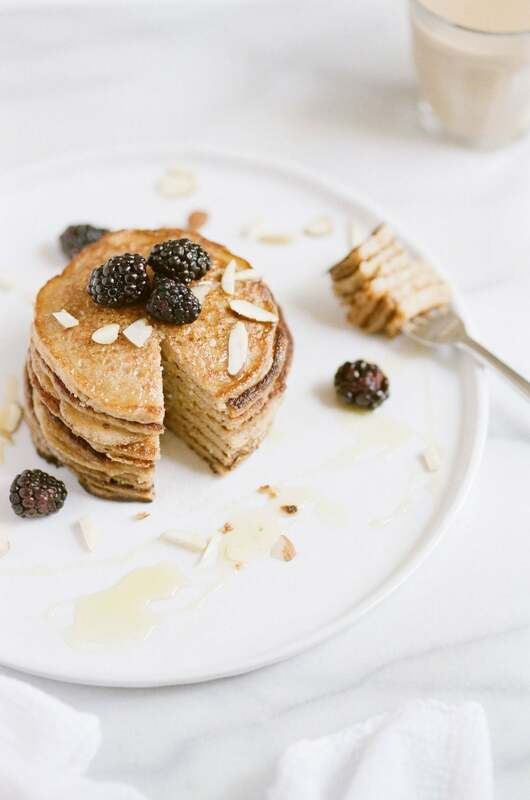 As with all KOJA products, the pancake mixes are 100% gluten free, with no added sugars or sweeteners, and have no nasties, no additives, or preservatives. Starting the day with protein is essential to build and maintain lean muscle mass and is key to maintaining a healthy weight. Protein is essential to grow healthy and strong hair, skin and nails. The body also requires protein to make enzymes and it’s key for hormone production. In a vegan diet, it is essential to get adequate amounts of plant based proteins and to make sure to meet the daily requirements for protein. What better way to do that than to enjoy a delicious breakfast of pancakes?! These pancakes are very quick and easy to make and suitable for adults and children alike. Try all three flavours and feel free to add your favourite toppings! Get creative! Whisk KOJA Pancake mix with the mashed banana and plant based milk. Mix well. Heat a pan with coconut oil and pour in 4 small pancakes. Flip when they begin to bubble and cook both sides until golden.